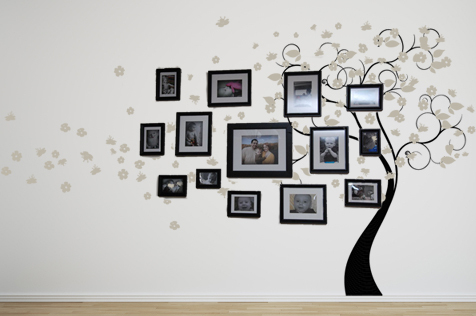 Synopsis: Summer is drawing to a close, but that doesn't mean your walls have to get sad and dismal with the winter! About two weeks ago, we were sitting in the Beautiful Wall Decals offices in Ohio, looking outside our windows and wondering when the rain would stop. It sure didn’t feel like July, or even summer, for that matter. No swimming pools, no cookouts, and no fun! So, when the weather cleared up this week and it got nice and hot, there was a reason to celebrate. We’re smack-dab in the middle of summer and really happy about it, so we’re turning to our favorite type of expression to show our absolute summertime joy: your walls! 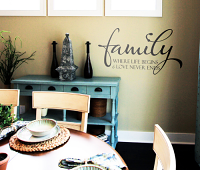 We love designing beautiful things that reflect what you love. Who doesn’t like a good day at the beach or on the water on a hot summer day? 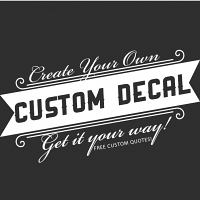 Here come a slew of nautical and beach-themed decals! From making beach-themed bathrooms complete to broadcasting your love of surfing to finding the perfect quote for an entryway of a beach house; we have something for everyone who loves the sand, the sun, and the surf! 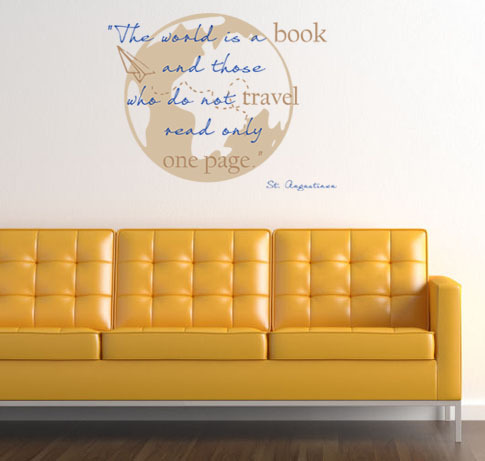 Here are some great designs for the world traveler! 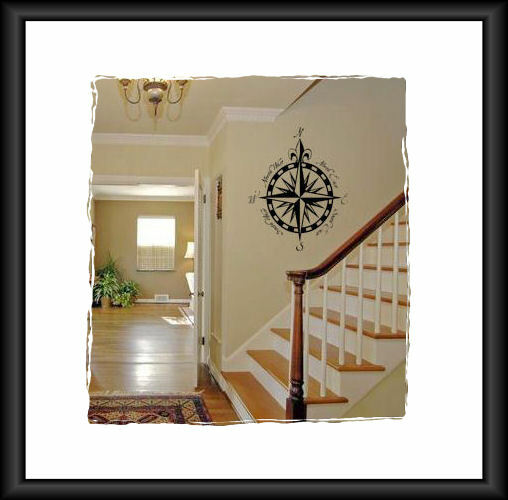 First up, we have an inspirational type of decal to show off your passion for the romance of traveling to new places and experiencing new things to anyone who enters your home. 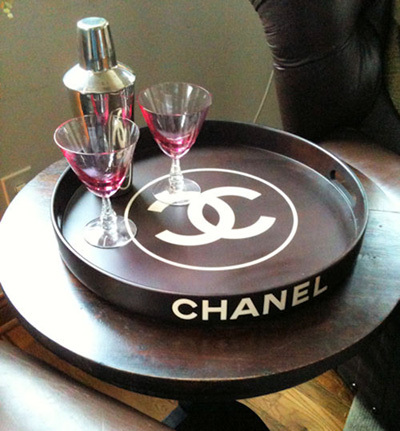 This goes really nicely in a foyer or living room. 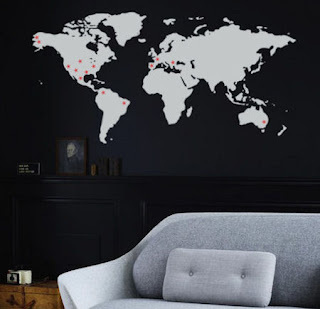 Next, we’ve made a big map design to put in a living room to show your guests where you’ve been (or where you want to go). We even have one of these in our offices showing all of the countries and states where we’ve sold our products! Ahoy, matey! 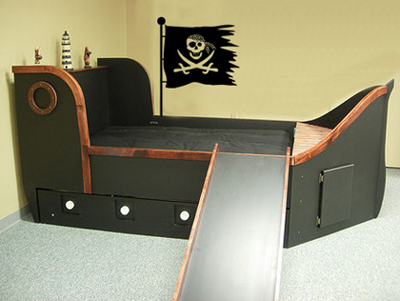 Ye lookin' for pirate designs to put a bit o' humor in a room? 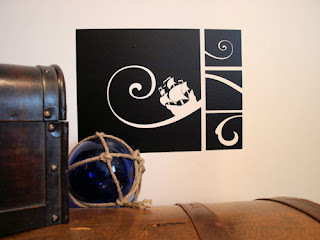 Well shiver me timbers, Beautiful Wall Decals has you covered! These designs look great in a child’s bedroom or in a ship-themed room. Arrrrr! What’s more summery than hanging out on your front porch on a hot day, drinking something cold and watching the neighborhood kids all play together? 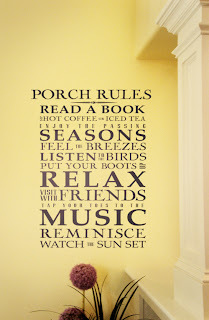 Here’s a great design for right beside your door or maybe even applied to a piece of painted wood hanging outside on your porch! It reminds us to take things a bit more slowly. Here’s the summer motto brought to us from the mouths of some of our favorite animated friends! 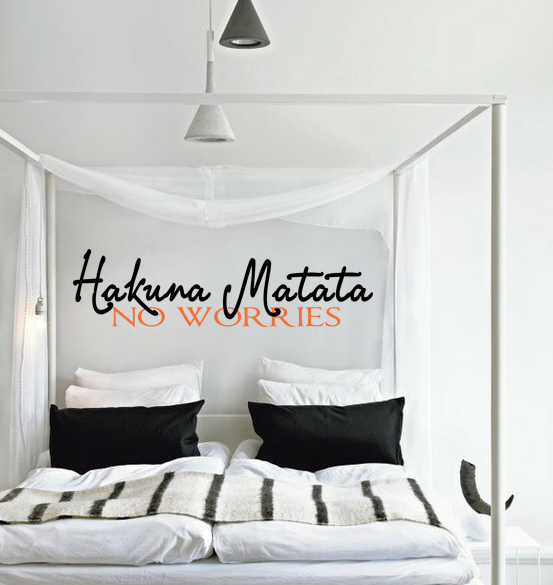 Whether this goes in a bedroom looking for a little more “zen” or is displayed in a vacation home, reminding you that you are here to relax, you’ll be sure to remember that summertime means no worries! This decal’s a bit more artistic, a bit more subtle. 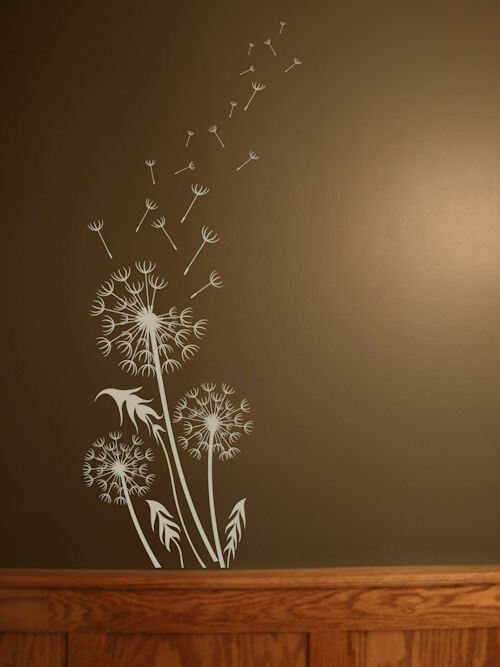 It showcases a breezy dandelion, waving in the wind. This is something that screams summertime! It looks amazing in white on a neutral-colored wall and can go anywhere from a hallway to a corner of the living room that just needs something there. This design really pops! 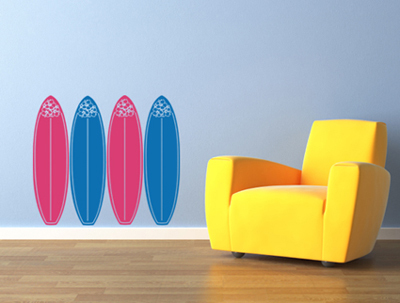 This decal’s for you if you’re looking for a more floral accent to your walls, something happy and bright, but not too summery. Look no further than our Sunflower Wall Runners! They look great on each side of a window in a living room or foyer and will be sure to brighten your way even when it’s cold outside! Plus, they look awesome in bright yellows and oranges, so they’re great for a “pop” of color! 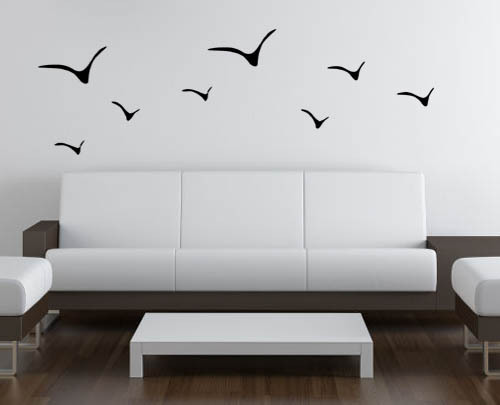 So, next time you decide it’s time to bring some more of that unadulterated summer joy into your life and your home, regardless of the season, Beautiful Wall Decals has you covered. 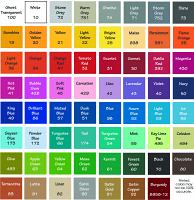 We have free shipping site-wide along with designs to fit any taste for pennies on the dollar. Bookmark us! 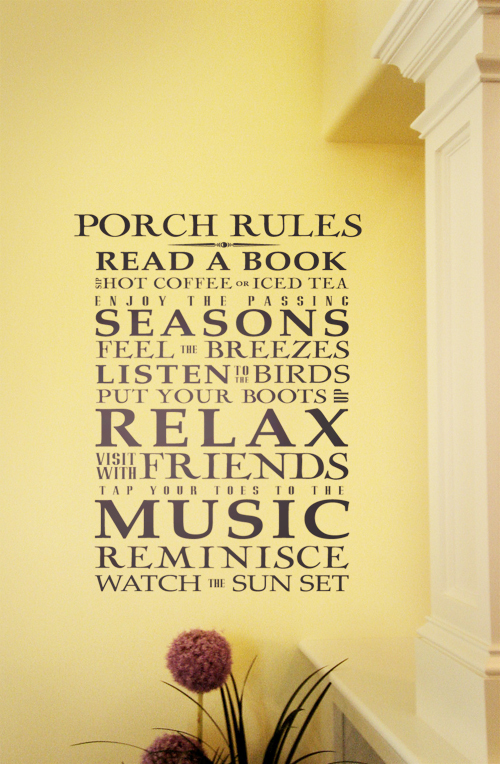 Have a happy summer…and remember, life is too short to live with blank walls!